The scooters wouldn’t work. No matter what I tried—restarting my phone, scanning the code from a different angle, kick-starting the ride—neither of the Birds parked in front of the Hole Mole on 4th Street would unlock. 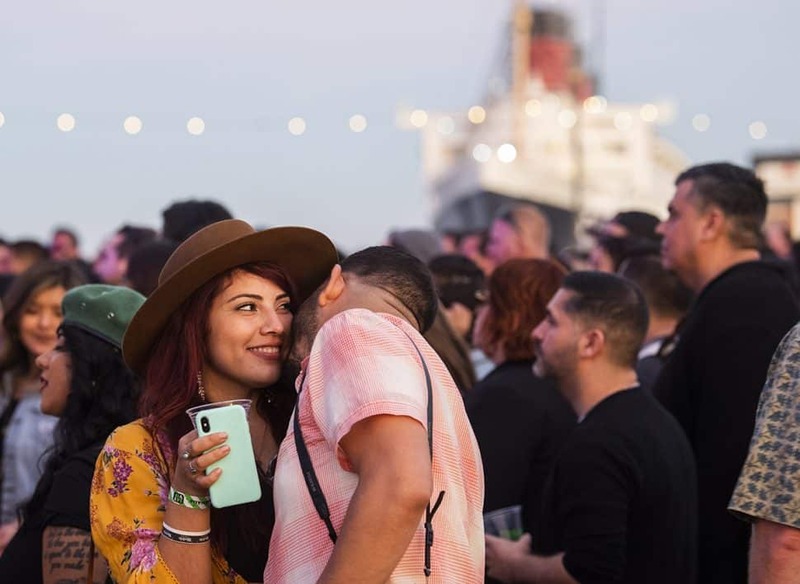 And I still had to get to a shuttle stop off Pacific Avenue, then ride a free bus across the bay to the Queen Mary Events Park where Tropicalia Music and Taco Fest was a few hours into its second day of a Latinx-geared lineup. “Me too,” I replied, nervous that Long Beach lo-fi kings Tijuana Panthers were already finishing up an early afternoon set. The groundbreaking festival was launched last year by OC-based promoters The Observatory, and was a single-day success that tapped into a distinctive borderlands zeitgeist, combining performances from traditional Latin acts like Los Tigres del Norte and La Sonora Dinamita with DJs and rappers, plus wavy emo songs and cumbia-flecked sets from second-generation artists such as Cuco and Buyepongo. 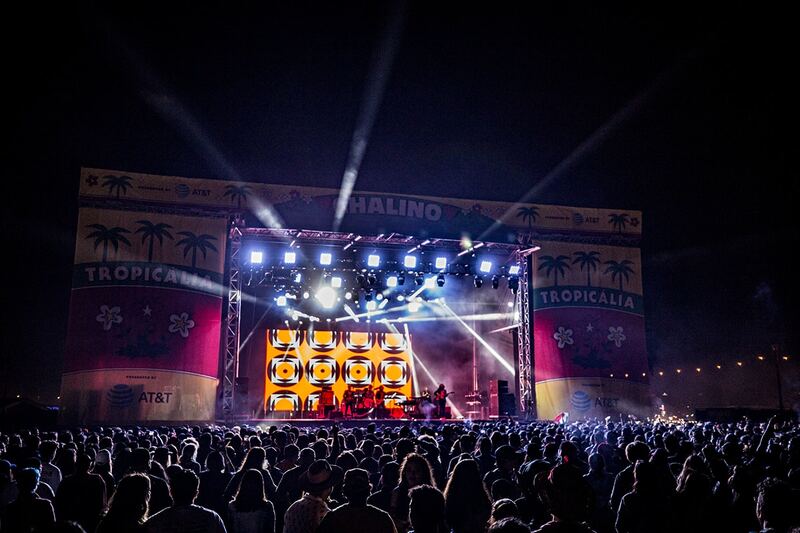 After selling out its first year and being hailed as a playbook for how promoters can tap into the growing market of young Latinos who grew up in the U.S. feeling ni de aqui, ni de alla (neither from here nor there), Tropicalia returned for Year 2 in Long Beach this past weekend. 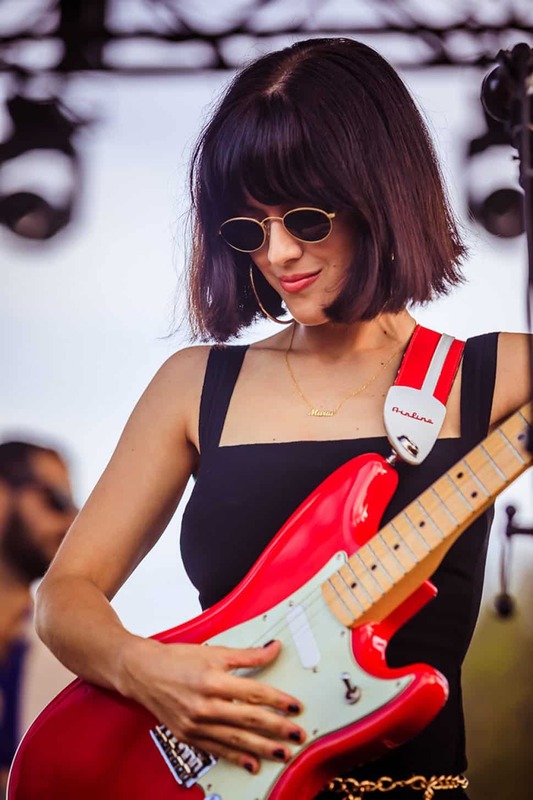 This time, however, the homegrown slice of Latinx culture came with a big Goldenvoice budget (Saturday headliner: Morrissey) and a far-reaching two-day lineup that remained impressive despite being ravaged by a frenzy of last-minute alterations (Sunday headliner: SZA replaced Cardi B; BadBadNotGood and Cuco cancelled). 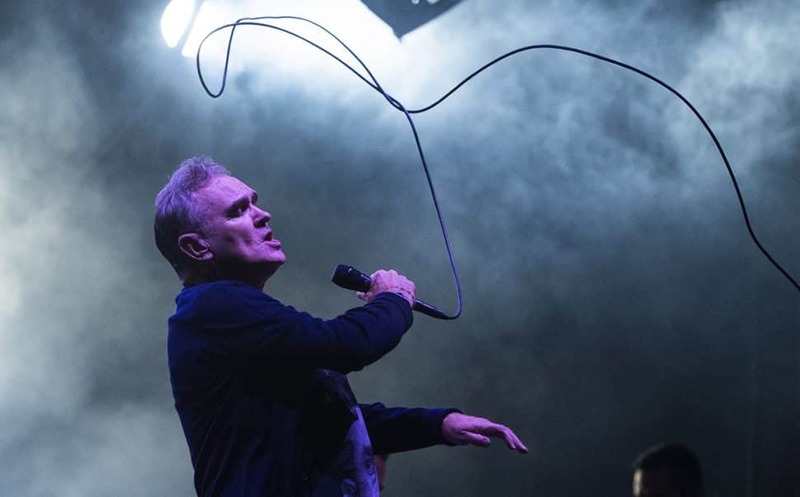 The expanded fest was also not without its cultural missteps, with fans online saying they were opting out of attending because of the choice of headliners (Morrissey was a Chicano icon whose political views are seen as problematic to young Latinos), the sponsorships (Modelo/Ballast Point is building a controversial brewery outside of Mexicali) and the lackluster food options (gone were most of the local vendors doling out free tacos before 4 p.m.). But none of these changes were on our minds as we tried desperately to get from Long Beach proper to the festival grounds. “Want to share an Uber downtown?” I asked my fellow scooter searcher. 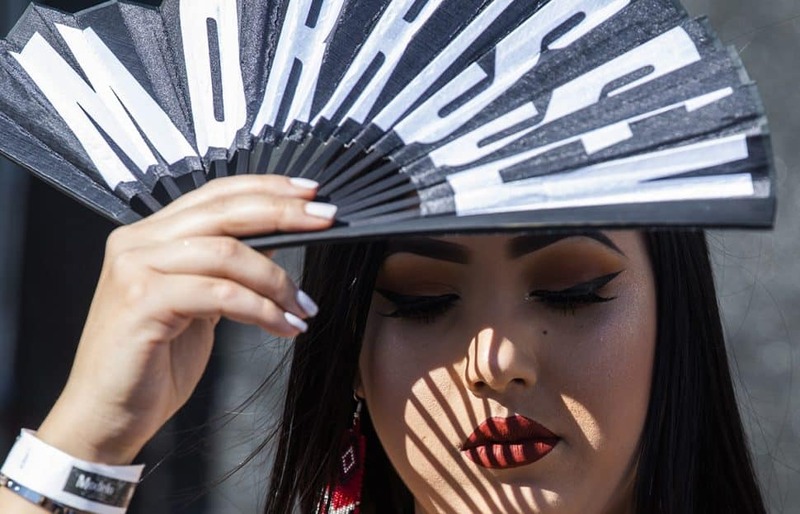 By the time Omar Ruiz, 23, and I arrived at the waterfront venue, we were joined by his friend Jiaro Lomeli, who had also driven down with a crew from Modesto, in the Central Valley, to attend. Lomeli is the singer and guitar player of a local psychedelic cumbia band called Valley Wolf, which just released its first EP last month. With electric organ riffs that channel their inner Chicano Batman and cumbia rhythms in the vein of East L.A.’s Thee Commons, Valley Wolf is part of a growing contingent of Latinx bands outside of SoCal that are taking on the sonic blending of their lived experience. Ruiz is the band’s manager. We landed at the Queen Mary Park partway through Yellow Days, a silken voiced 18-year-old British wizard with an old Rickenbacker, who took over the main stage (aka the Chalino Stage) with trippy Vaporwave visuals and a trumpet player who ran his horn through so much delay it came out sounding like a keyboard. I followed around Ruiz and Lomeli as they flitted from set to set, absorbing friends and cousins from the Central Valley into their entourage along the way (“I’ve seen so many people here from Modesto,” Ruiz said excitedly). At each stage, they pushed their way through girls in gold hoops and scrawny teens with un-ironic Hawaiian shirts sucking on vape pens to get as close as possible for bands they would have no chance of seeing back home: the Allah Lahs; Current Joys; Mon Laferte. We closed our eyes and danced our hearts out to La Sonora Dinamita, an internationally recognized Colombian cumbia band with a Stateside touring lineup that coincidentally includes Lomeli’s Modesto neighbor as the singer. Lomeli talked about how he cried during the Leo Dan set the day before, sending video of the ‘60s Argentine singer to his mom so she could cry along too. Later, when The Marías hit the Juanga stage, Ruiz and Lomeli swooned at the group’s mononymous frontwoman María (“I love her! I hope she notices me!”), staring doe-eyed as she swayed her hips in a long black dress and her velour vocals wafted over the crowd, much of it in Spanish. Everyone knew the words and sang along. On the next stage over, Boy Pablo—a band of ’90s haircuts fronted by a Chilean-Norwegian from the other side of the Latino diaspora—got the crowd bopping with emotional lyrics paired with pop construction that reminded me so much of early-2000s Warped Tour that I had to ask if anyone around me had heard of Brand New (one older guy had). “Yeah, it’s emo, but for Latinos,” Lomeli said when I mentioned that we’d been listening to a lot of sad songs that didn’t always sound sad. As the sun began to set, we walked back to the main stage to wait for Chicano Batman, by now the undisputed Godfathers of the current local Latin alternative revolution and possibly the only band on the bill to be actually inspired by the Brazilian genre of Tropicalia, from which the festival gets its name. Mariachi El Bronx blared from the speakers as techs prepared the band’s small setup, which aside from the addition of two backup singers has remained unchanged since they first started playing shows at Alex’s Bar about a decade ago (“Aren’t we supposed to be boycotting Ballast Point?” the girl behind me asked her friend as we waited). Chicano Batman members Eduardo Arenas, Carlos Arévalo, Bardo Martinez and Gabriel Villa emerged to the loudest cheers of the day and played a set list comprised mostly of songs from their two latest albums, Cycles of Existential Rhyme and the politically relevant Freedom Is Free. Against a brightly colored backdrop that lit up the dark fest, the group sang “Para Agradecer” off Cycles, telling everyone to put their hands up and, in a fitting wind down to an emotional day, sing the simple chorus: Gracias a la vida. When the sea mist started rolling in over the yellow port lights, the band wrapped up their set (last year they headlined). When chants of “otra” were met with Mariachi el Bronx filler music, the crowd realized there would be no encores this time and instead rushed towards the front in anticipation of Mac Demarco, who later performed with no band while wearing an inflatable turkey costume. I tried to resist the wave of bodies mowing me over, but Lomeli and Ruiz moved with it, seizing the opportunity to surge closer to another singer of sad songs who doesn’t always sound sad. They disappeared into the crowd of dark hair, dad hats and weed smoke. I retreated to watch the remaining sets of the night from afar, thankful for the broken scooter that never got me here and the new friends from Modesto I found instead.